Hoo-ah! Looking for ideas for the best Caribbean resorts for Thanksgiving? If you haven’t made your plans for Thanksgiving holiday, and the thought of cooking a Thanksgiving makes you feel more weary than excited, you might want to consider spending your holiday in the beautiful Caribbean. Some of these resorts are all inclusive, which means it’s perfect for a family escape and some listed may be perfect for a romantic honeymoon, all pinpointing to a stress-free Thanksgiving. So ditch the turkey, gravy and green bean casserole, and stop bickering about politics with the family the trade it in for a sunny topical location. Take a look at these top Caribbean resorts for Thanksgiving! Starting off our list of Caribbean resorts for Thanksgiving, is La Concha Renaissance San Juan Resort. Soak in beautiful beach views at one of the three outdoor pools. From snorkeling and scuba diving to sea kayaking, surfing, windsurfing, endless opportunities are abound. Experience the most incredible view of Condado Beach while doing your cardio on the ocean at the fitness center. From high touch to high tech, The Spa at Condado Vanderbilt has all the specialized and rejuvenating indoor/outdoor treatments. Worked up an appetite? Please your palate at the many restaurants where you can indulge in fresh seafood, tapas, or Asian cuisine. Guests can have access to exclusive evening experiences including onsite live music performances, culinary demos, and performance art. 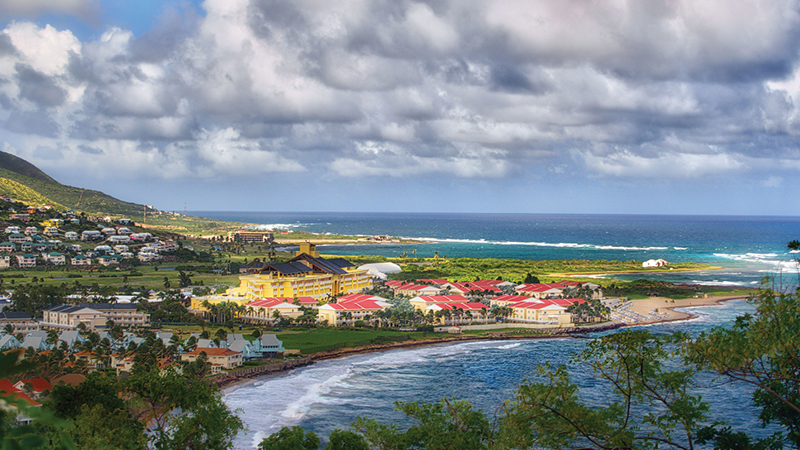 Relish recreation and inspiration right on an island paradise at Marriott’s St. Kitts Beach Club. 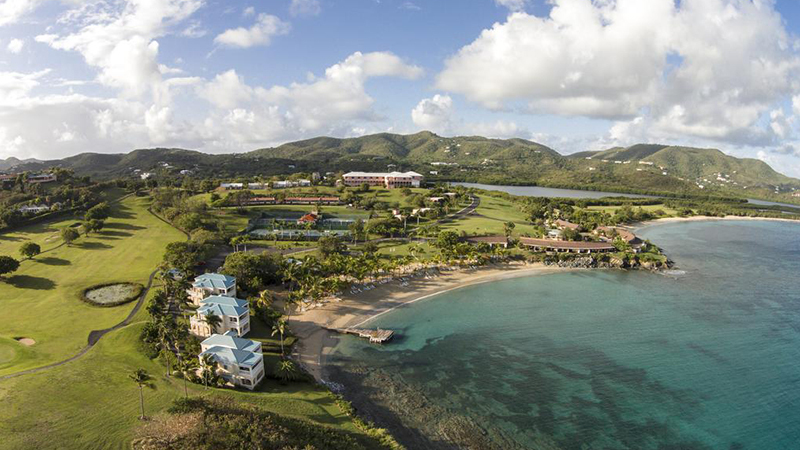 Get access to a handful of activities, including: including a large pool area, a pristine beachfront, an elegant casino and the Royal St. Kitts Golf Club that features a par-71 course. Make an appointment to the Emerald Mist Spa where you can enjoy facial treatments and therapy baths. Get a bite to eat at seven restaurants that feature everything from, American to Italian, or International cuisine. 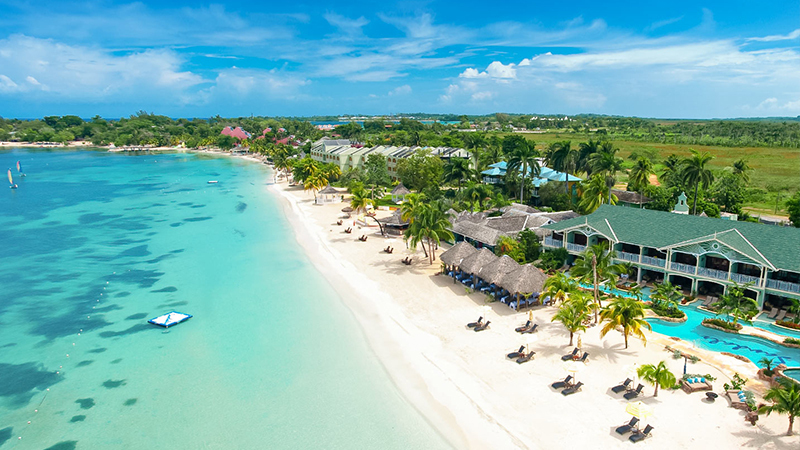 Located on Seven-Mile Beach, Sandals Negril is a perfect exotic playground for free-spirited and fun-loving people. The first of two Sandals making our list of the bestCaribbean resorts for Thanksgiving, there will be always something to do at this all inclusive getaway. You can do whatever it is—swimming, snorkeling, sailing or just a simple by the beach reading. You can also try yoga, get some workout in their rejuvenating state of the art fitness center or play a rousing game of tennis. Make a trip to the Red Lane Spa which features Caribbean inspired spa treatments. Try fine dining at seven restaurants that include unlimited gourmet dining or discover five bars offering unlimited premium spirts. 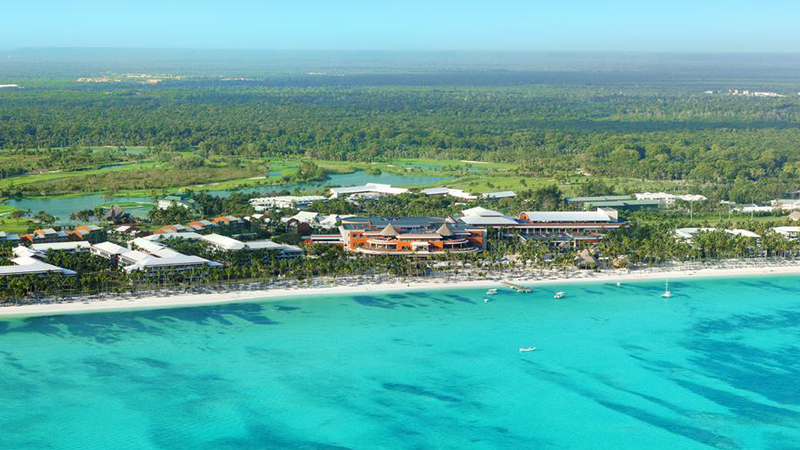 The Reserve at Paradisus Palma Real offers everything you have dreamt about in idyllic tropical surroundings. This all inclusive hotel was specifically designed for families in mind. Not only do children stay for free, but there is a Kids Zone, a family concierge and two family-friendly pools. There is also live music in the evenings and a variety of dance and fitness classes, including yoga, Pilates and spinning. Experience true wellbeing in your body and mind at the Yhi Spa that includes massages and treatments that awaken your five senses. Experience a fantastic choice of dining options, all of which will conquer you with their delightful aromas and flavors. 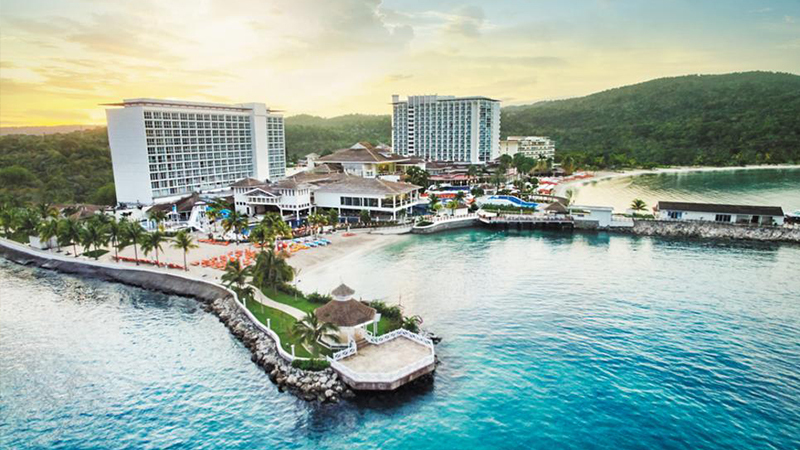 Nestled on the beach in Montego Bay, Hyatt Ziva Rose Hall offers a Caribbean escape for the whole family featuring pristine beaches and sparkling swimming pools. Spend your days here exploring the crystal-clear Caribbean Sea, take a kayak out on the water, or just go underwater with snorkeling. Get a workout in at the fitness center or try the daily fitness classes which include beachside yoga, pilates, boot camp cardio, and water spinning. Savor unlimited food and beverages, including alcoholic drinks, from a range of restaurants, bars, and lounges. Each night, enjoy nightly music and entertainment at the outdoor theater. 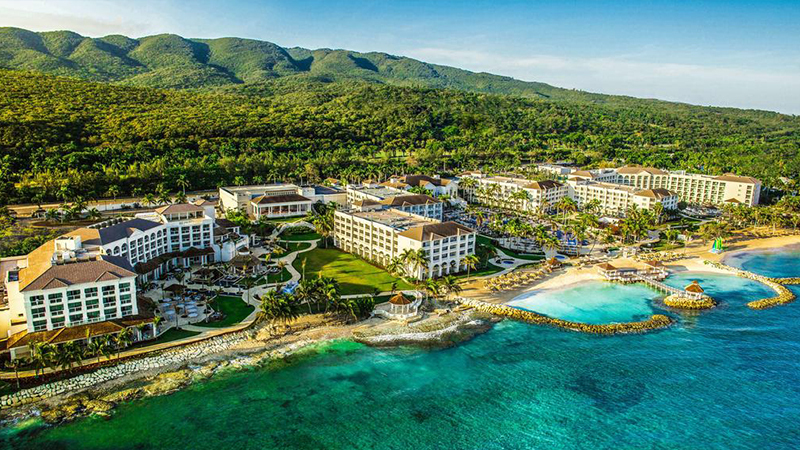 Moon Palace Jamaica Grande will simply take your breath away. Just imagine unobstructed views of the sparkling waters of the Caribbean — add to that, a large array of activities, fun adventures and get set to embark on a vacation of a lifetime. 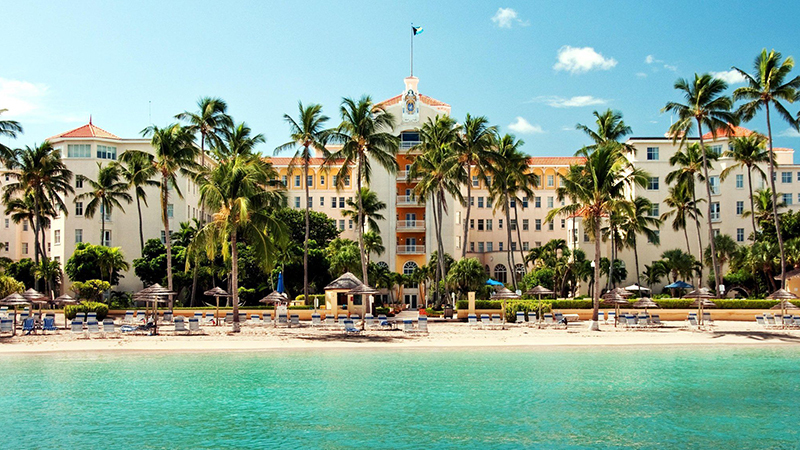 It’s the first of two Palace Resorts to make our list of the topCaribbean resorts for Thanksgiving. Jump in one of the five pools complete with waterfalls, plunge pools, Jacuzzis, FlowRider and the exciting Lighthouse Waterslide! Leave the stresses of life as you lounge in the Awe Spa relax and let the professional staff of therapists and aestheticians rejuvenate and reenergize you. This all inclusive escape offers five world-class dining options, and a bevy of bar and nightlife experiences to choose from. The perfect combination of regal elegance and contemporary style, the British Colonial Hilton Nassau captures the unique ambience and magnificent beauty of The Bahamas. The luxury resort, which overlooks the picturesque views of the Nassau cruise port, offers a private powder sand beach and an outdoor freshwater pool surrounded by day beds and colorful cabanas. Get an amazing work out at the 24-hour fitness center or just hop on one of the paddleboards and kayaks and get soaked into the culture. Whether you’re looking for a casual dinner or a late night drink, their restaurants and bars will have something for every taste. The Buccaneer, featured on ABC’s The Bachelor, is the Caribbean’s longest running resort perfect for honeymoons. The three beaches here are some of the best in St. Croix, including one with a water-sports center offering kayaks, and snorkeling. While the youngsters make new friends at the Kid’s Camp, adults can take a swing at the 18-hole Buccaneer Golf Course or turn up the romance on a sunset sail for two. Voted best tennis resort in the Virgin islands, it offers eight Plexipave courts, two lit for night play. Enjoy a relaxing day and receive the best treatments for the body, mind and soul at the Hideaway Spa & Salon. Three dining options here featuring classical cuisine with Caribbean accents. On the golden sands of Uvero Alto beach, CHIC provides discerning adults an all inclusive social vacation experience. 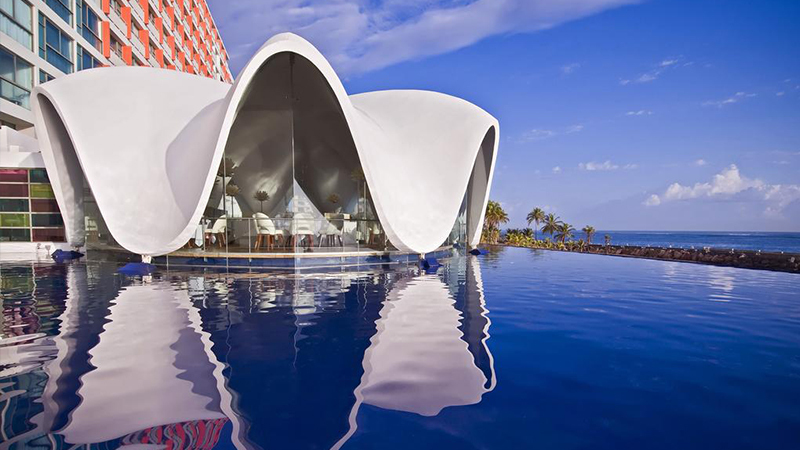 Spend sultry afternoons inside private cabanas or dip in the intricately mosaicked and glass-walled Mermaid Pool, or lay at the private beach area and enjoy lively entertainment at the main pool. Stay fit and healthy while on vacation, CHIC features fitness facilities along with non-motorized watersports. With it’s all inclusive plan, savor world-class dining at any of the à la carte restaurants at CHIC where luxury never tasted so good. 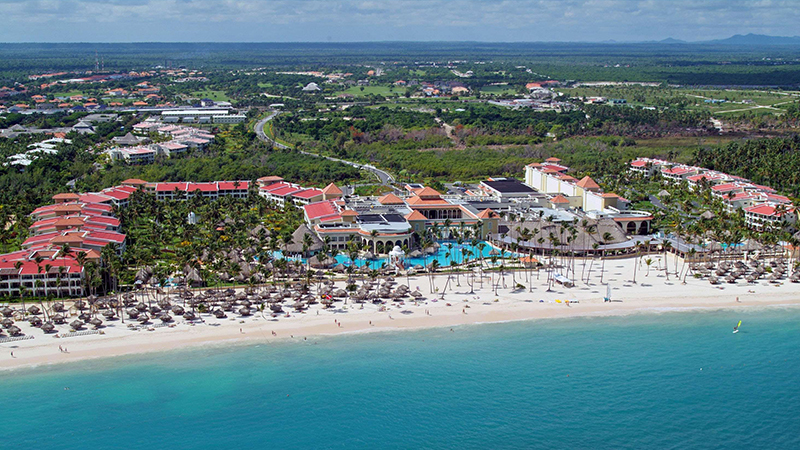 The luxurious TRS Cap Cana Hotel is surrounded by lush tropical forest next to a long pristine beach. This adults-only seafront hotel includes two swimming pools and direct access to Paradise Beach. Discover a wide variety of things to do, such as water sports and outdoor activities. With such tremendous beauty, you can see why it made it to our list of the top Caribbean resorts for Thanksgiving. 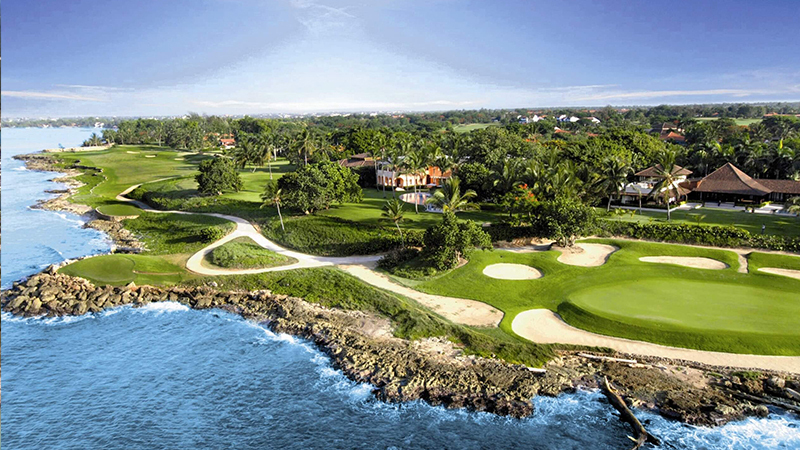 This destination also houses the Punta Espada Golf Club, considered one of the best golf courses in the Caribbean. 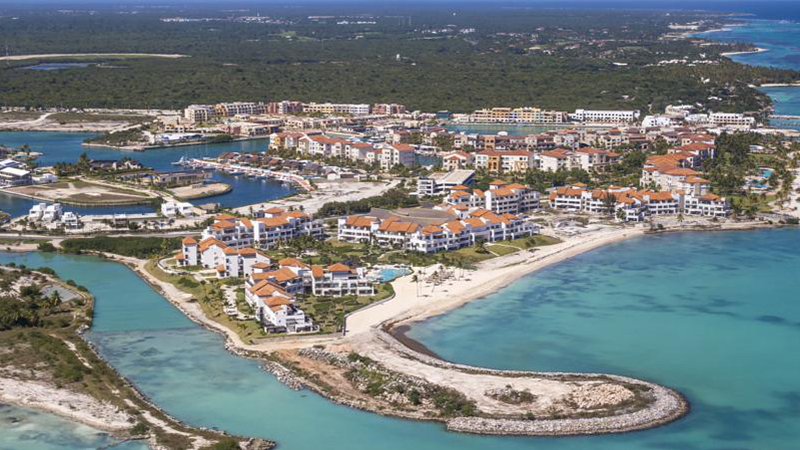 Cap Cana also has one of the most spectacular marinas in the world, famous and accredited by international magazines for fishing. Stop by for special care and attention at at the Zentropia Palladium Spa & Wellness centre. Try the two à la carte restaurants specialize in Argentinian and Japanese cuisine, or a restaurant serving international food, and an Ibizan-style beach club. Enjoy the full experience of luxurious Caribbean living at Casa de Campo Resort and Villas from your own private home. Each villa is staffed and features a private pool, stylish living areas and unique touches. Burn some sweat in the on-site fitness center or just detoxify, regenerate, and renew yourself at the full-service spa. Take a swing at three Pete Dye-designed 18-hole golf courses, including the challenging, highly acclaimed Teeth of the Dog course. the resort houses seven restaurants dishing out everything from Mediterranean cuisine to gourmet Italian meals. Dine at over a dozen restaurants, including Spanish tapas, classic Italian comfort food, fresh sushi, and other globe-spanning dishes. 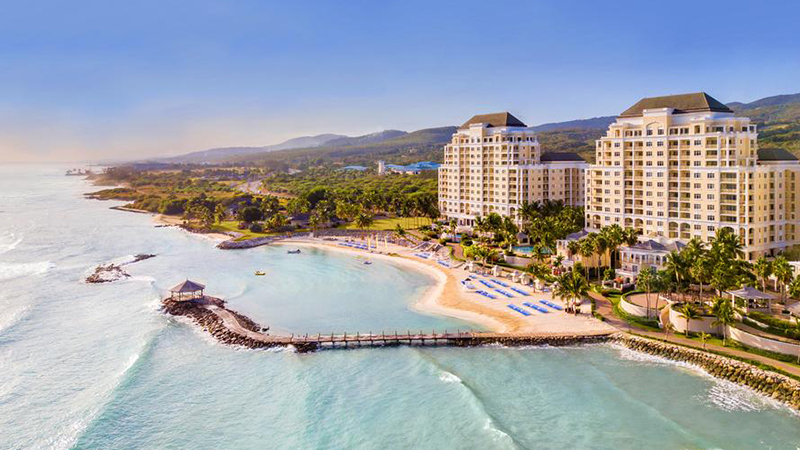 Situated on its own stretch of oceanfront along Jamaica’s famous Montego Bay, Jewel Grande Montego Bay Resort & Spa is is the ultimate all-inclusive luxury destination. It shines bright with two sparkling swimming pools, a world-class full-service spa, a state-of-the-art fitness facility, and private beachside cabanas. Get access to best golf courses on the island at the White Witch Golf Course and Cinnamon Hill Golf Course. Designed with family travel in mind, The Kids Club and Teen Lounge will be popular with the young set. Four delectable restaurants will provide something for every taste and appetite. 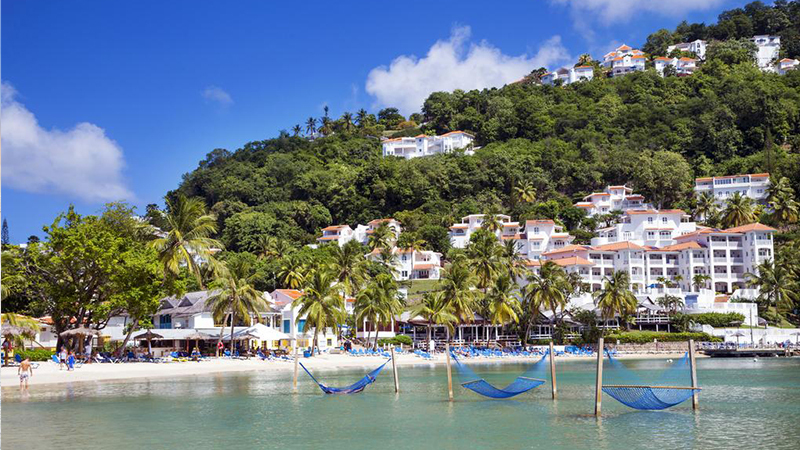 Tucked away on a terraced hillside along the Caribbean, Windjammer Landing Villa Beach Resort is unlike any destination you’ve ever seen. 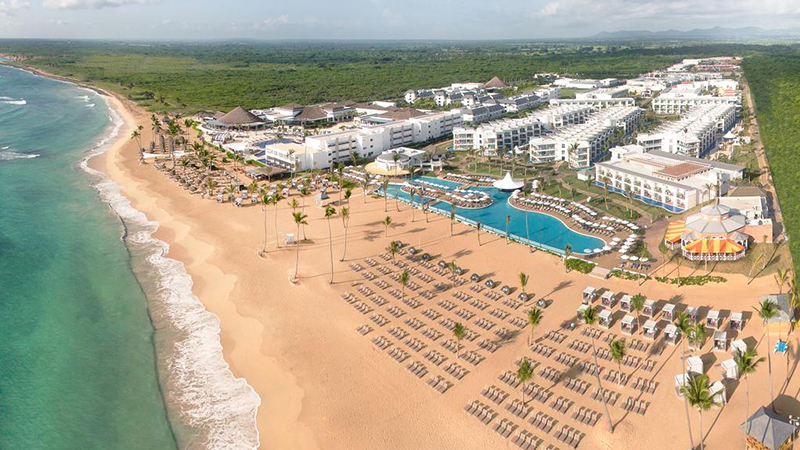 Perfect for families, honeymooners, and couples, this all inclusive resort features sparkling swimming pools, an array of motorized sports, and world-class dining experiences. Book a spa treatment, enjoy private Jacuzzis for couples or just keep it simple and relax on the in-water hammocks. Couples searching for an all-inclusive romantic hideaway should make a stop to Secrets Royal Beach. Secrets boasts a wide array of activities, from snorkeling to sailing, dance lessons to helicopter tours. For a more relaxing day, lay a towel out on the beach, sip cocktails by the free-form pool or unwind with a rejuvenating couples massage. It also boasts five gourmet restaurants, where you can indulge in an array of international cuisine. 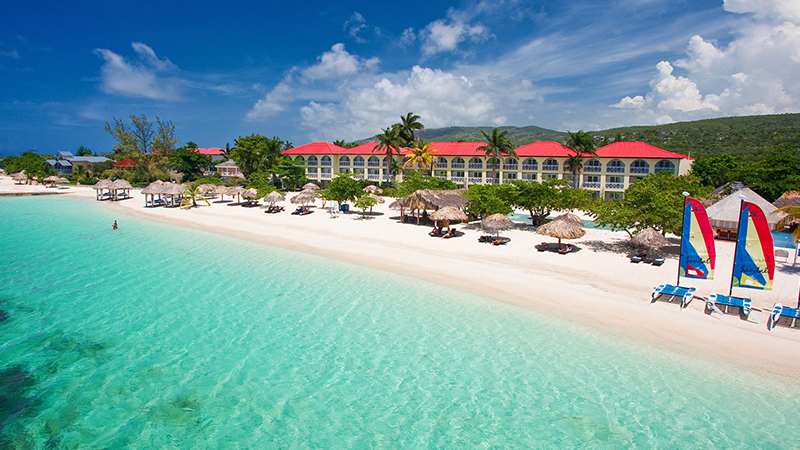 Sandals very first resort, Sandals Montego Bay spans the best private beach in Montego Bay. Discover every water sport imaginable here, including: kayaking, waterskiing, sailboating, snorkeling, scuba diving and paddle boarding. Opt for a relaxing massage at Red Lane Spa or get a workout in at the state-of-the-art fitness center. indulge in unlimited dining at nine gourmet restaurants that deliver exquisitely-prepared international cuisine, then take your pick of fiver bars, including one swim-up bar. 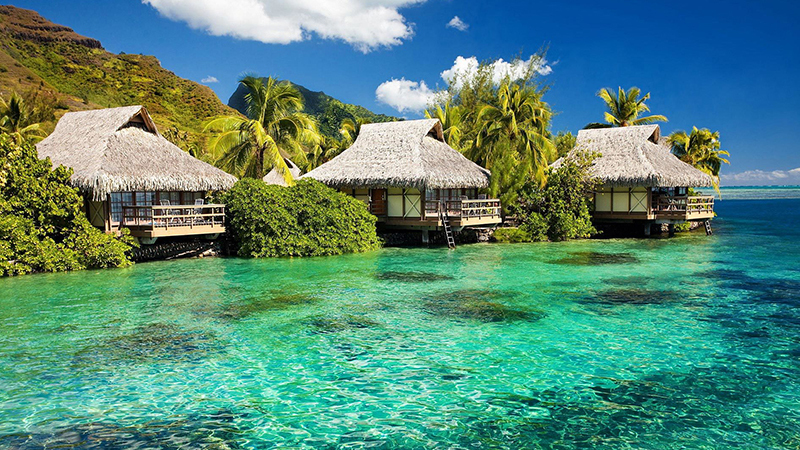 Couples will love the swim-up suites and perhaps tie the knot at the over-the-water wedding chapel. A great pick for honeymooners on our list of the Caribbean resorts for Thanksgiving. 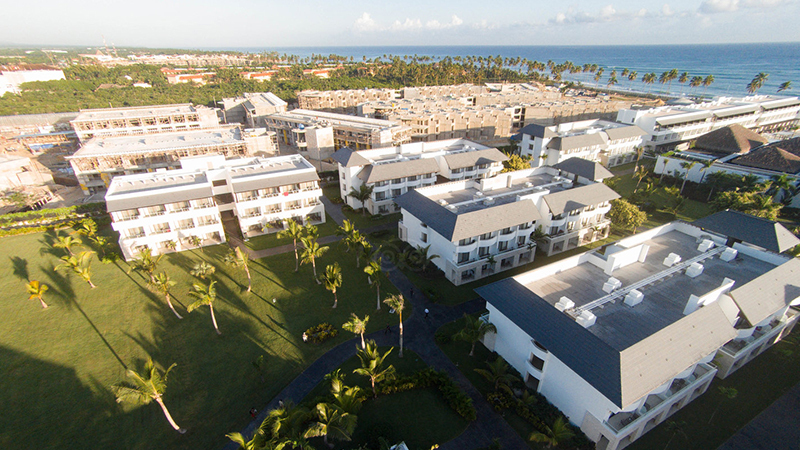 Situated on Uvero Alto Beach, Nickelodeon Hotels & Resorts Punta Cana is perfect for kids who are huge Nickelodeon fans. Kids have a variety of entertainment options right at their fingertips. In The Nickelodeon Village, you will find the Aqua Nick water park, Just Kiddin clubhouse, Knick Knacks gift shop, Open Air Theater, and Character Central, where kids can interact with their favorite Nickelodeon characters. 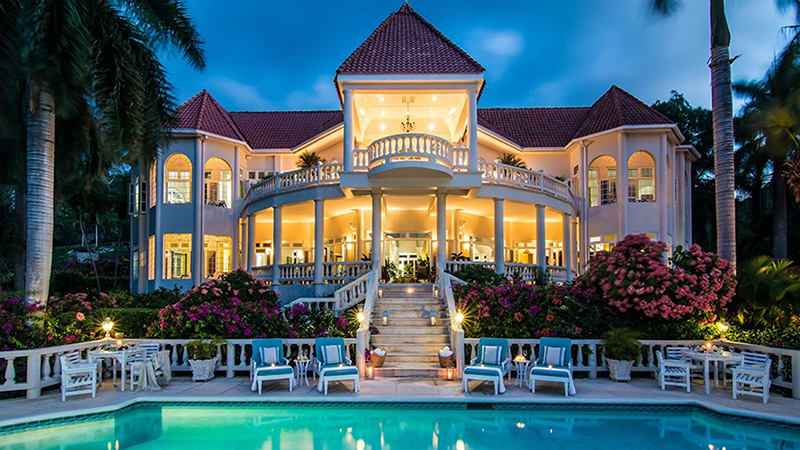 Accommodations include swim-up suites and The Pineapple, a villa inspired by Spongebob’s home! While the kiddos are playing, adults can discover a full menu of world-class treatments at the Vassa Spa. This place is all inclusive, including ten restaurants at your disposal — be sure to order a green slime smoothie! Imagine the perfect setting: turquoise waters, white sand, beautiful fountains and lush, exotic gardens; every corner is a unique spot at Paradisus Palma Real Golf & Spa Resort. 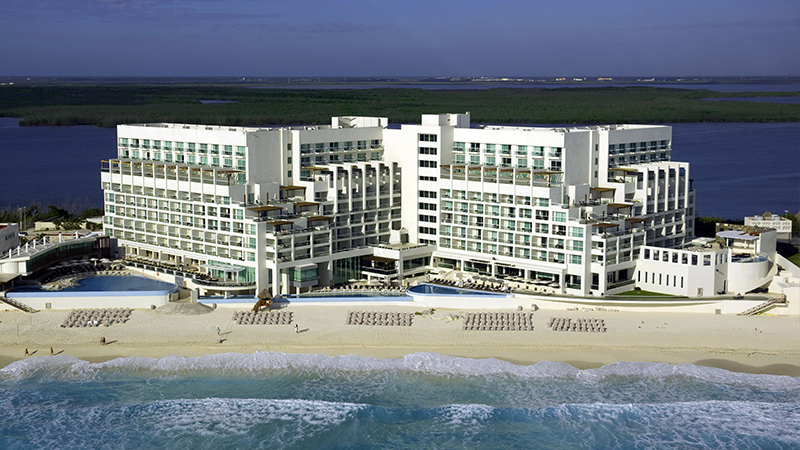 This all inclusive hotel features world-class spa facilities and treatments, a two-story health center with advanced work-out equipment, a large free-form swimming pool. The kiddos will love the Kids Zone that includes a climbing wall and trampolines. The golf enthusiast will enjoy the Cocotal Golf & Country Club, which is a 27-hole world-class championship golf course sure to challenge the most advanced golfers. From world-class gourmet cuisine to the most authentic Italian cuisine at the Palazzo, take advantage of the twelve magnificent restaurants. 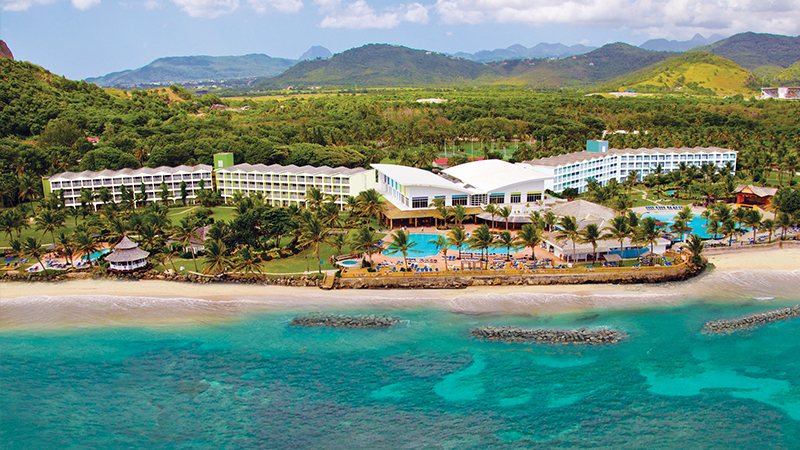 An adults-only playground in the Caribbean, Sun Palace is more than a getaway resort, it’s your dream destination. Days filled with sun and sizzling evenings in this all inclusive luxurious resort is made for couples, specifically designed for romance. Be pampered with beautifying facial treatments, relaxation sessions and herbal steam baths at the Sun Spa. This all inclusive spot also has a fitness center, two pols, a beauty salon with plenty of daytime and nighttime activities. Featuring four delectable restaurants, be tempted by sumptuous cuisine from a variety of traditions. 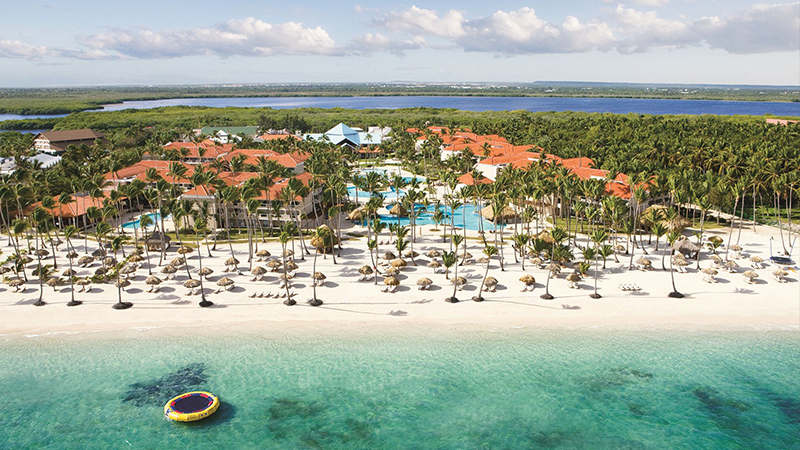 Nestled on an amazing white sand beach at the edge of a crystal blue ocean, Barceló Bávaro Palace is filled with endless activities and nights with continuous entertainment. Vacationers can play a round of golf at the Pete Dye-designed golf course, then unwind at the full-service spa, all while kids blow off steam at the kids club. Featuring four pools, including an adults-only pool, a kids pool, and a large shared pool with a swim-up bar. Kids will get free access to the Barcy water park. Non-motorized water sports Include kayaks, windsurfing, sailing with Sunfish or Aqua Fin boats, snorkeling and pedal boating. International cuisine options are also available for the all inclusive guests, including Japanese specialties with traditional Mexican, Italian, and Spanish dishes. Sprawls across 400 acres of manicured grounds with two miles of beachfront, Half Moon is a destination in itself. Here you will find the largest award-winning spa oasis in Jamaica, an 18-hole par-72 championship golf course, it’s own equestrian centre with 28 horses. This all inclusive hotel features two beaches and four pools including private pool at your own villa. Children will love interacting with the two Atlantic Bottlenose dolphins in residence. Enjoy pure relaxation with yoga, don’t miss a beat of your fitness routine with the state-of-the-art facilities or get adventurous with a scuba outing. Experience the best of modern Jamaican cuisine here, including the Sugar Mill, awarded as Jamaica’s best restaurant. Situated on famous Seven Mile Beach, Couples Swept Away, is an all inclusive escape amorous twosomes, and it’s packed with amenities and activities that will spark romance. Highlights of this 19-acre resort include the island’s largest fitness complex, a lap pool and air-conditioned squash, ten tennis courts and racquetball courts. Head to the beach for sea kayaking, snorkeling, sailing, windsurfing and scuba. Eight spa treatment rooms align a long Buddha plunge pool, while the eucalyptus steam room and showers are mere steps away. A total of six restaurants here and in-suite dining savoring fine continental cuisine with a Caribbean twist. Eight bars and your disposal, including beach bar flag service that the bar staff bring over your order. 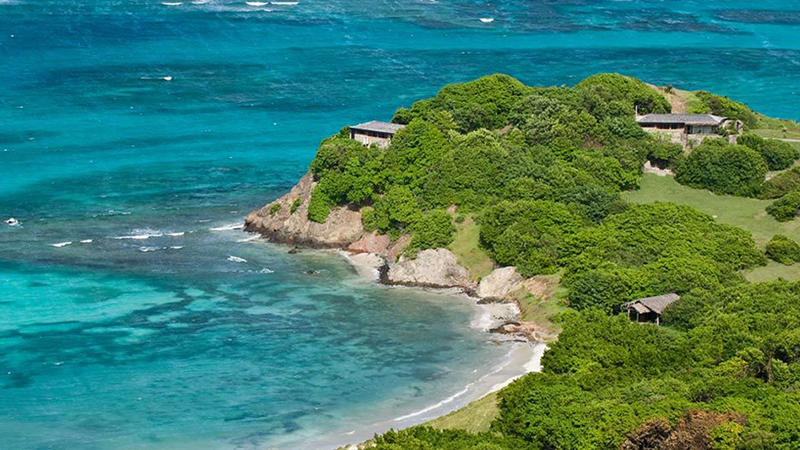 Called one of the world’s most enchanting hideaways, Petit St. Vincent offers an unparalleled vacation for people who seek privacy amid natural beauty. 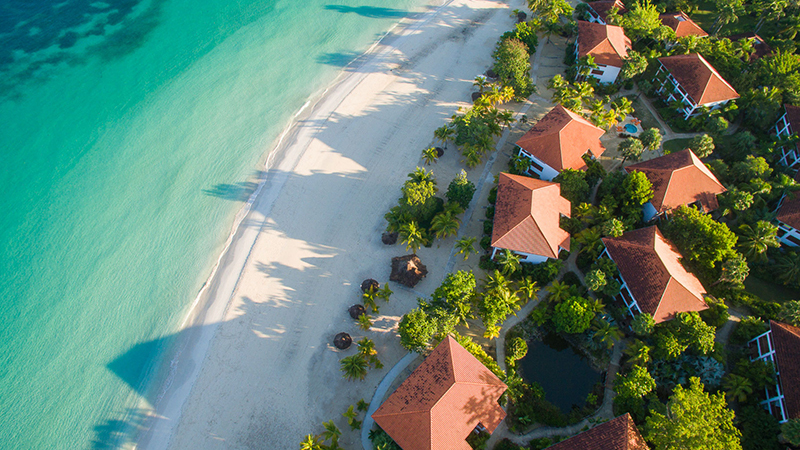 You can see why it made it to our list of the finest Caribbean resorts for Thanksgiving. 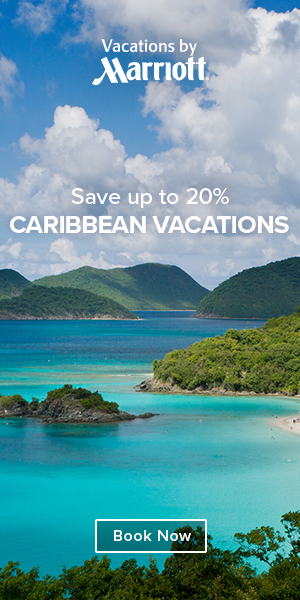 Featuring a grouping of exclusive cottages, all surrounded by gorgeous views of the Caribbean Sea. With two restaurants, one hillside and one beachside, they offer a variety of creative cuisine inspired by locally-caught seafood and organic island-grown fruit and vegetables. Unwind with low-key on-island activities: two yoga pavilions, a Balinese-run luxury spa and wellness center, and an array of land and water sports. GoldenEye, if this sounds familiar to you, it’s probably because it’s the tropical destination of Ian Fleming who wrote all 14 James Bond novels here. This is not an ordinary hotel, but a collection of private villas, cottages and beach huts featuring hidden coves and a saltwater lagoon. From swimming and snorkeling to paddleboarding and kayaking, there’s no shortage of trips and activities to take during your stay at GoldenEye. Indulge in a massage at FieldSpa or go snorkeling in the 4-acre lagoon. Dining here is a mix of local and international influences, much of it grown at their organic farm, Pantrepant. 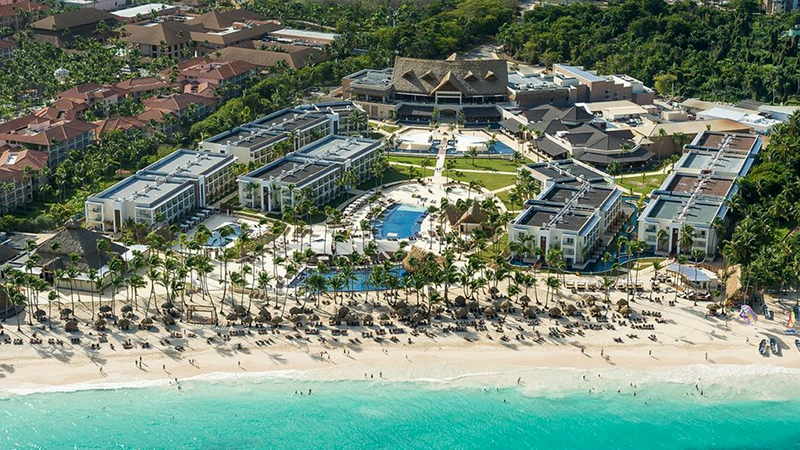 Escape to the shores of Punta Cana on a luxurious vacation experience at Royalton Bavaro. This all inclusive hotel is comprised of three distinct sections, unique to each traveller’s vacation style. Choose from the family friendly resort or Diamond Club sections or enjoy a tranquil escape in Diamond Club, an adults-only area. Be amazed by the swim-out luxury family rooms then take some time out at the fun-filled lazy river or get some surfing in at the Flowrider wave machine. This luxury hotel includes a fitness center, non-motorized water sports and the The Royal Spa, which features a hydrotherapy circuit and a full-range of massage, body and facial treatments. Treat your taste buds to a flavor sensation at the eight on-site eight restaurants then grab a signature cocktail at the bar. The runner-up on our list top 25 best Caribbean resorts for Thanksgiving is Coconut Bay. Situated on Saint Lucia’s exotic south coast, Coconut Bay Beach Resort & Spa offers two seemingly different worlds in one heavenly location. 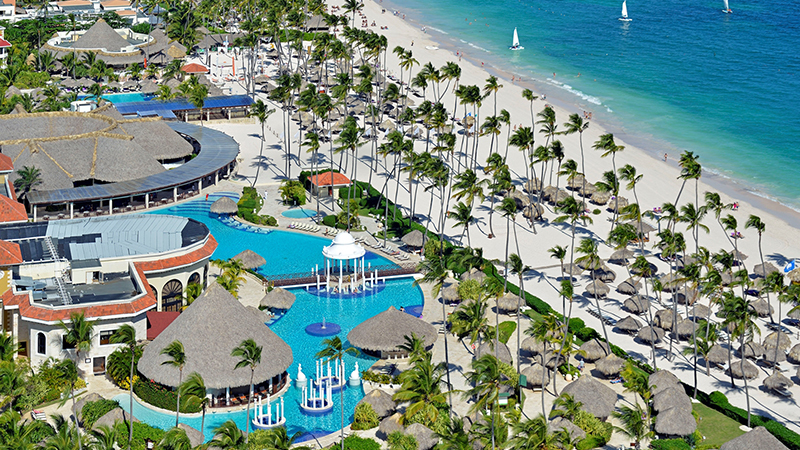 The options here are plenty at this all inclusive vacation destination. Travelers will have access to a mile-long beach and five pools, plus activities like beach volleyball, kayaking, snorkeling and yoga. Coconut Bay features a fitness center, tennis and basketball courts, full-service salon and oceanfront spa. It also houses St. Lucia’s largest water park, complete with a lazy river and two giant waterslides. Seven bars offer unlimited top-shelf liquors, whilst casual dining includes buffet style and a la carte dining with Italian and American cuisines plus a beachside grill. 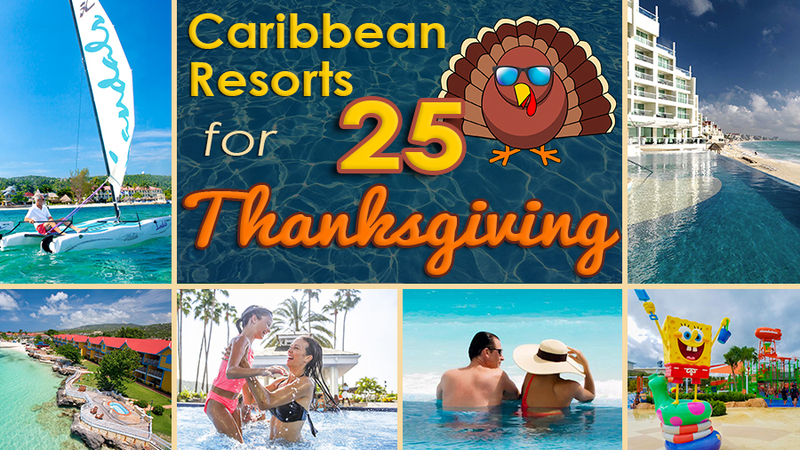 We hope you enjoyed this list of the top 25 best Caribbean resorts for Thanksgiving. So, remember, next time the Fall season rolls around, keep these amazing beach destinations in your mind. Gobble Gobble!